Mahalo to EVERYONE Who Made the 2019 Auction Kick-Off a Success!! This concert will be presented in honor of my friend, Herman White, a Holocaust Survivor. I created this program as a celebration of the creativity of American Jewish composers of the twentieth century. 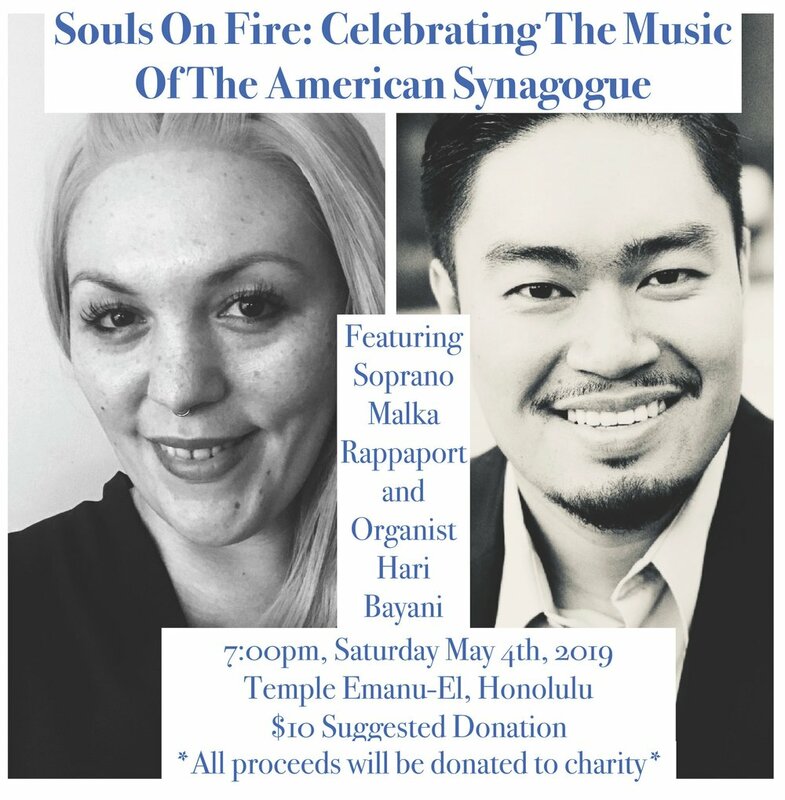 Souls On Fire will feature music from some of the greatest figures American Jewish liturgical music –such as Max Janowsky, Max Helfman, Ben Steinberg, and Cantor Israel Alter. This program also will introduce you (through this stunning repertoire) to a beautiful marriage between Western Classical music and a hundreds-year-old Jewish synagogal music tradition called Chazzanut. Come and learn about the origin of the texts and the liturgical significances of the pieces and immerse yourself in a world of sound not-often-heard in the synagogue or the concert hall! 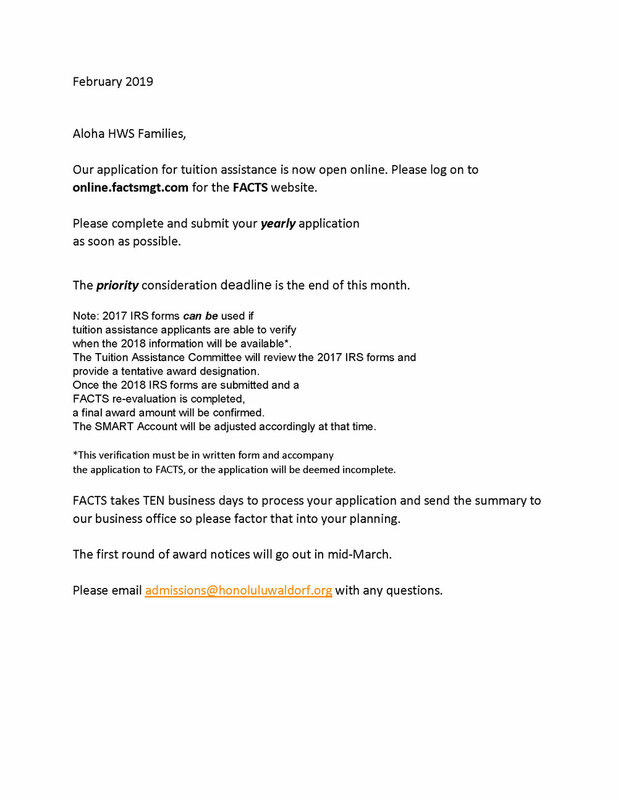 The Board would like to share some fantastic news about the Honolulu Waldorf School Administrative Director position. We are very excited to announce that the school’s very first Administrative Director, Mr. Robert Witt, and Ms. Roberta Bishop will work together in a Co-Administrative Director capacity. 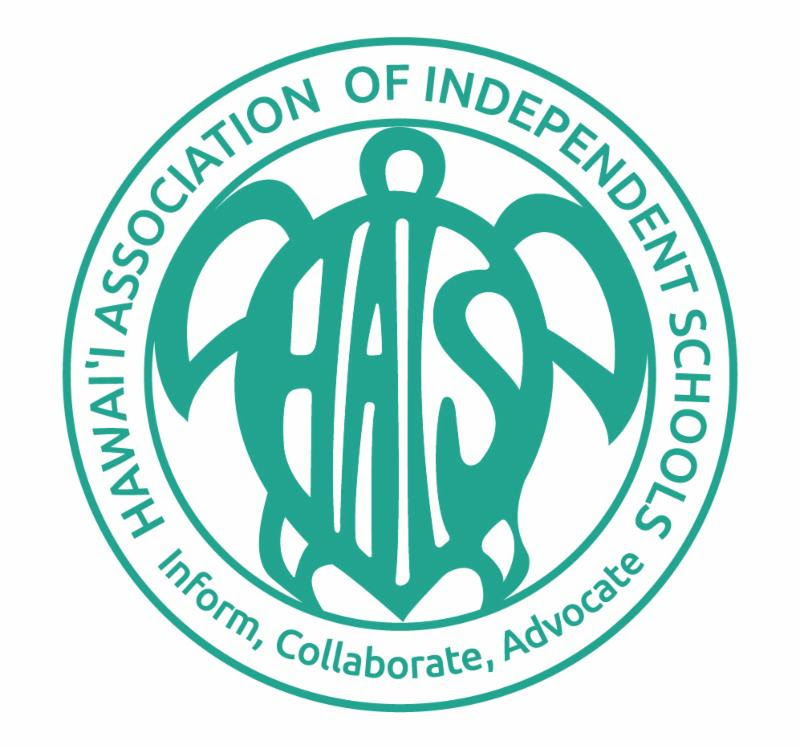 Robert and Roberta have both previously held the role of Administrative Director of our school and have worked together in various capacities since the 1980s - both at the Honolulu Waldorf School and the Hawai‘i Association of Independent Schools (HAIS). We are truly blessed and grateful for their willingness to fulfill this much-needed role in our school’s community. Robert and Roberta will share this role throughout the remainder of the 2018-2019 school year. 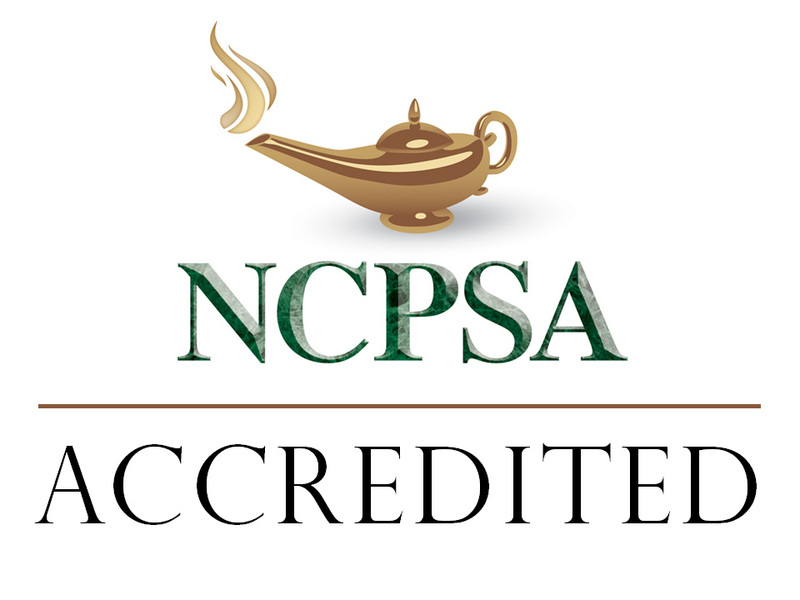 During this period, our Board will refocus our Administrative Director search and continue to seek out a candidate that we feel is best equipped to perpetuate the school’s vision for years to come. The Board’s Administrative Director Search Committee has worked tirelessly reviewing resumes and interviewing the many strong candidates. We were unable, however, to find a candidate that we believe met all the qualifications needed to fulfill the role. We look forward to working with Robert and Roberta and will continue to do our very best in our search for a permanent Administrative Director. The Board encourages members of our Waldorf community to share their comments and ideas with us. 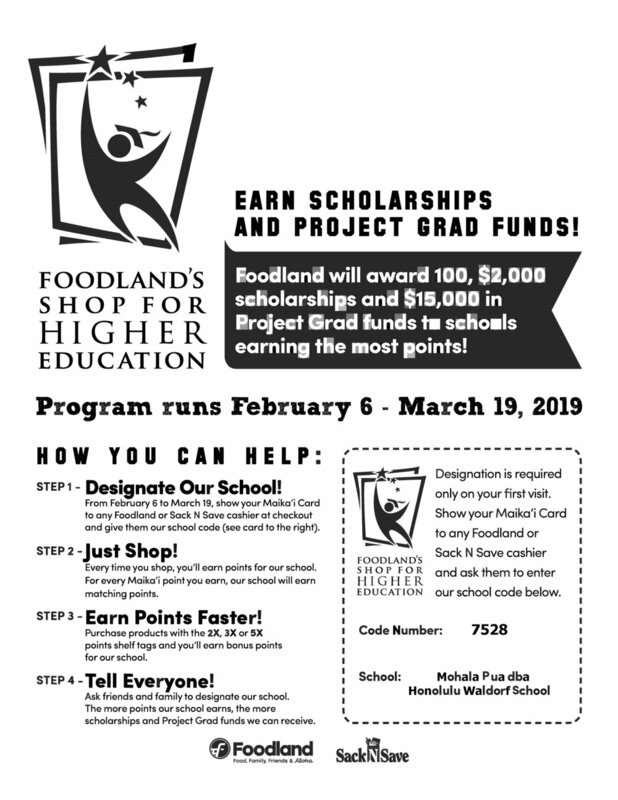 We can be reached at hwsboard@gmail.com. We wish you and your families the very best this holiday season and we look forward to continuing to serve our school and greater community in the New Year! 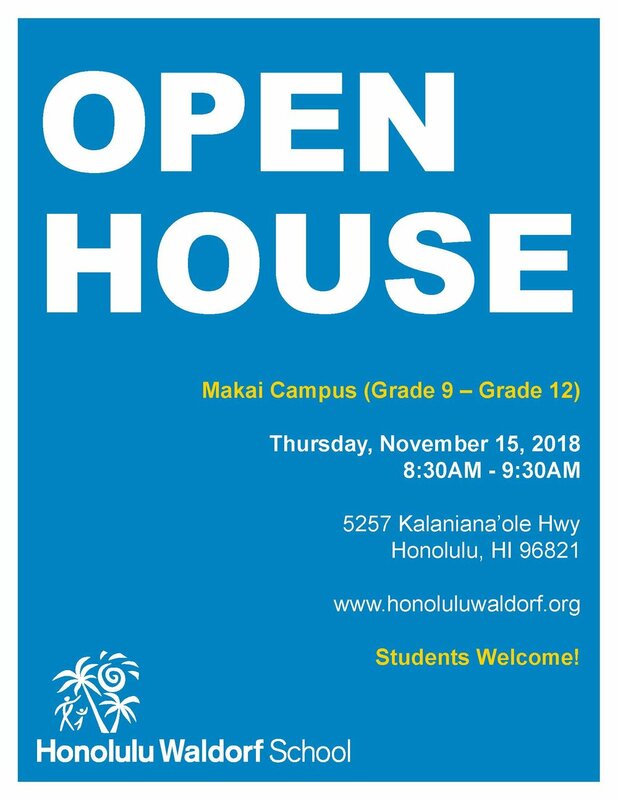 Join us for The 3rd Annual Honolulu Waldorf School's Parent Hui Swap – Open to All! · Bring your no-longer-needed-but-still-usable items. · Take whatever you’d like from anyone else’s no-longer-needed-but-still-usable items. · Clear your clutter, recycle some stuff, grab some goods, have some fun! Cost: FREE when you bring a bag of donations or $5 per bag. NOTE: 1 bag = grocery shopping bag or equivalent. Want to Volunteer to work at the swap? Waldorf Parents can get First Dibs on all the cool stuff by becoming a Volunteer! If you would like to volunteer, please email parent hui at the address below, or stop by the Niu office and let Astrid know. She will place your name on the google sheet. Friday, November 16 from 3:30pm-5:30pm for organizing tables. Saturday, November 17 from 11am-2pm for management and clean up. 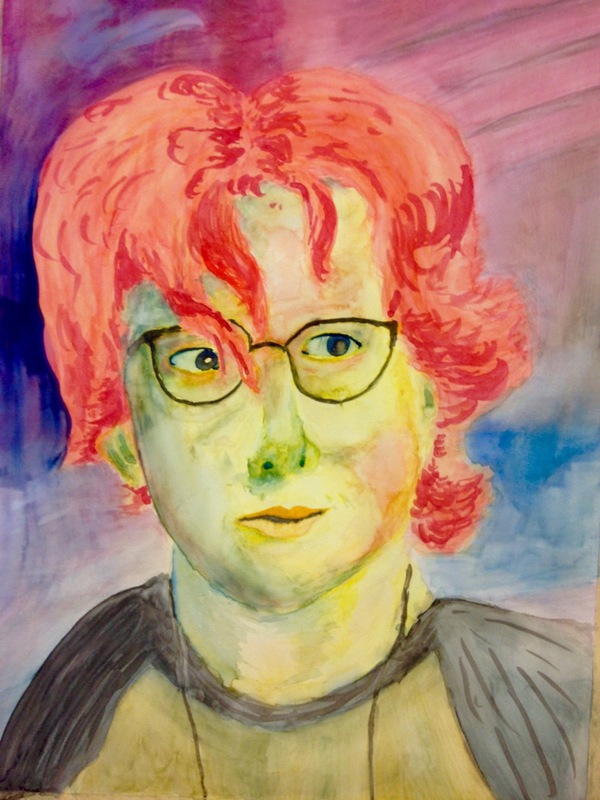 The 11th grade just completed their watercolor painting block in the high school. Their work covered landscapes and portraits, focusing on the Romantic and Impressionist period artists for landscape techniques and the Expressionist style for portraiture. They finished the block by painting self-portraits in the Expressionist style. Click each image to see full-size. Kat here . . .
Before I turn the floor over to Chairperson Jana Moore to make her many thank yous, I would like to thank her for all the work she's done over the last five years as Waldorfaire Chair. Her familiarity with the event was truly a blessing for me in my first year. Thank you, Jana! our keiki and guests. Whether you were a shift volunteer, helped prep a booth, purchased scrip, or created something with Mrs. Bryce and Mrs. Knapp in a Crafternoon session for the toy shop, YOU made this Faire happen! The Waldorfaire Committee wants to extend a special thank you to the Faire’s hero, Kepa, who ensured a smooth start to our Faire, as well as the countless contributions he makes to our school and keiki every day. Andrea/Samadhi Hawaii, Rustin Smith, Jillian Gold, Kat Fitzpatrick, Jessica Takei, Erika Takahashi, Silvia Jaimes, Joyce McCarthy, Astrid Tommasino, Jason & Hillary Godwise, Yumiko Tamura Loose, Olivia Busenbark, Gretchen Valentin, Lu Morelli Vine, Tarah Nelson, Kimberly Hakola, Linda Fuiji, Tracy Packer, Svetlana Bianchetti, Tomomi Sydow, Junko Horiguchi, Heather Mohr, Junko Munakata, Arlene Sato, Will Temple, Ann Marie Brege, and MANY more worked diligently behind the scenes. Also, great big Mahalo, to our very own high school students who took a hand in making Waldorfaire a unique and exciting time! They created a new version of an old favorite (jousting) and hand-made the beautiful new scrip signs you saw throughout campus. Also, Nikolas Bianchetti and Myla Smith did a fantastic job of emceeing! It’s been an honor to serve as Chairperson and collaborate with so many passionate and talented people. I look forward to supporting our school as a board member and behind-the-scenes volunteer, as well as seeing what our creative parent leaders produce in the years to come. Kat here . . . Before I turn the floor over to Chairperson Jana Moore to make her many thank yous, I would like to thank her for all the work she's done over the last five years as Waldorfaire Chair. Her familiarity with the event was truly a blessing for me in my first year. Thank you, Jana! 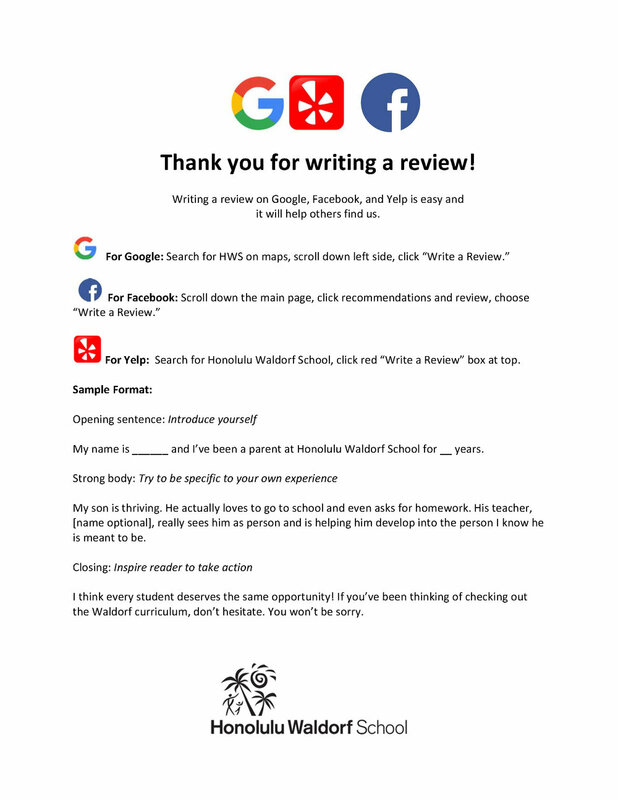 And now a few heartfelt words from her: ============================================================ Dear Honolulu Waldorf School Ohana, I cannot thank you all enough for once again making Waldorfaire such a magical experience for our keiki and guests. Whether you were a shift volunteer, helped prep a booth, purchased scrip, or created something with Mrs. Bryce and Mrs. Knapp in a Crafternoon session for the toy shop, YOU made this Faire happen!